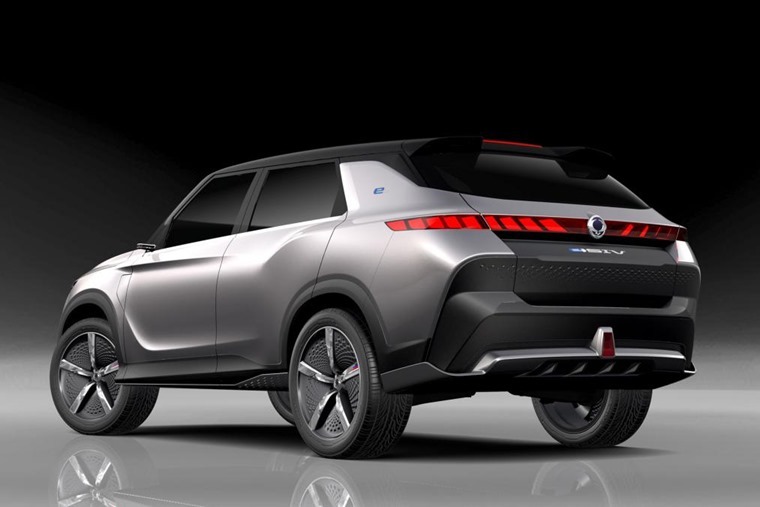 SsangYong e-SIV concept: the next Korando crossover? The SsangYong e-SIV has been revealed at the Geneva Motor Show and previews new styling and tech that could feature on the next generation of Korando crossover. The e-SIV – which stands for electronic smart interface vehicle is a strategic new model for the Korean brand, and gives us a good idea of its future direction in terms of styling and autonomous driving tech. Externally, the e-SIV’s front end is dominated by a large grille which if flanked by thin LED headlights. They’re joined together by a further row of LEDs at the top of the grille. It’s the same story at the back, where you’ll find a row of tail lights spanning the rear of the car. At the side and rear, it mirrors the chunky lines of the new Rexton. SsangYong says the look will be used on the next generation of Qashqai-rivalling Korando, albeit more toned down than the concept car we see here. 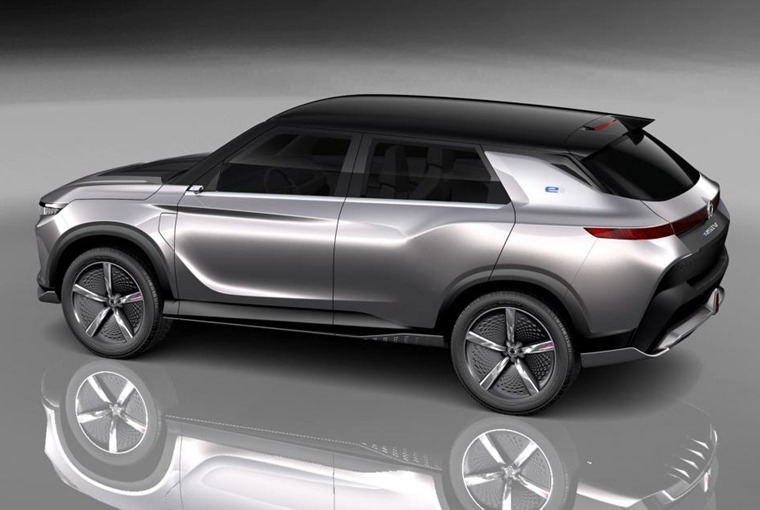 The e-SIV showcases the company’s latest autonomous tech, with Ssangyong saying that: “it recognises that change in future mobility will only result from positive consumer interest, engagement and experience”. On the inside, there’s a large infotainment system that dominates the dashboard, although no exact info on specs have been revealed. As a concept, it gets four individual seats that give the interior a very premium feel, but they’re unlikely to make it in to the next Korando. The concept features an electric drivetrain featuring a 140kW (187bhp) motor that can be recharged to 80% capacity in 50 minutes. Maximum speed will be 93mph, and range stands at 279 miles. That puts it above the latest Nissan Qashqai and upcoming Kona Electric. 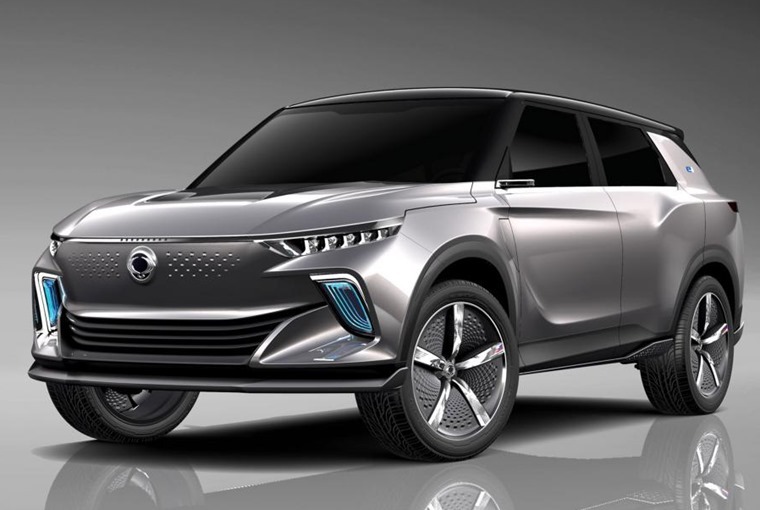 We don’t know when the next next Korando is due, but SsangYong has confirmed that its first all-electric car will arrive before 2020. If you can’t wait until then, you can check out hundreds of lease deals on SsangYongs right now by clicking here.